After the first World War, the League of Nations divided territory formerly under the rule of the Ottoman Empire into mandates. These mandates would be controlled by the British and French under the supervision of the newly established League of Nations. The British Mandate for Palestine was signed on July 24, 1922. The Mandate consisted of 28 Articles such as: “a recognition has thereby been given to the historical connection of the Jewish people with Palestine and to the grounds for reconstituting their national home.” This Mandate signed nearly a century ago is one of the main reasons for what we know today as the Israeli Palestinian Conflict. 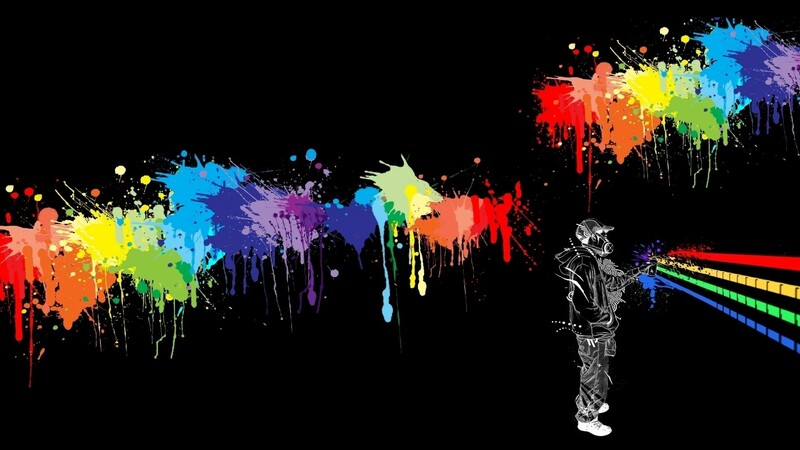 One of the first actions carried out by the League of Nations was to submerge the lands they brought under their mandate into a century of violence, wars, political and civil discourse all at the dispense of the people who live there. After fourteen years under the brutal rule of the British Mandate in Palestine, citizens started to rebel against their occupiers and in 1936 an all-out revolt against foreign rule or colonization broke out. 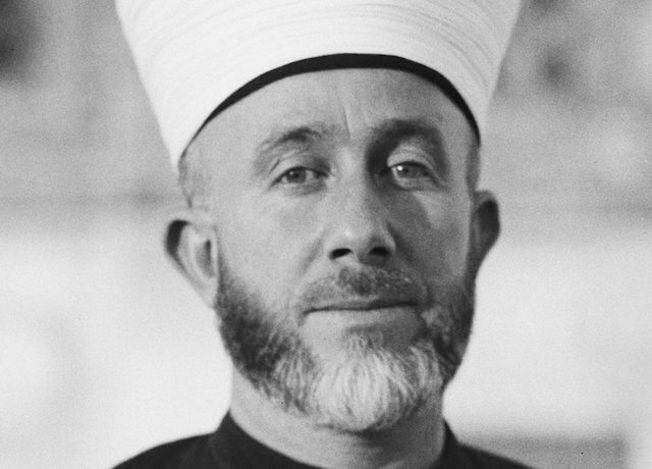 Shortly after the revolt, the Arab Higher Committee was formed headed by Al-Hajj Amin al-Husseini the Mufti of Jerusalem. The Committee rallied the public to participate in a general strike to support the demand for a national government. As the strikes dragged on the violence grew, Jewish settlers were attacked as were British troops, roads, railways, and pipelines were sabotaged. The British Government announced the appointment of a Royal Commission to investigate what caused of the revolt and asked neighboring Arab nations to help mediate. This was happening in the 1930’s. but it’s reminiscent of what we see today in Palestine, we have Palestinians revolting against the Israelis who are their occupiers and we have Western leaders asking neighboring Arab nations to help mediate in this conflict, a conflict in which the aforementioned Western leaders created a century ago when they signed the Mandate for Palestine. After 17 years of infighting between the Jews and Arabs who occupied Palestine, there was also a growing resentment toward their British occupiers. This resulted in Jewish Militias attacking Brittish troops and military installations. The United Kingdom unable to resolve the problem so, they asked the United Nation to solve the conflict. The United Nations in 1947 consisted of 55 participating nations including Egypt, Iraq, Syria, Lebanon, Palestine and Suadi Arabia. Out of all of these nations, Palestine was the only nation to not be recognized as an independent state. Furthermore, not one of these Arab nations were invited to be a part of the United Nations Special Committee on Palestine which is a very perplexing historical fact. Despite not being invited to participate in the United Nations Special Committee on Palestine, Egypt, Iraq, Syria, Lebanon, and Suadi Arabia submitted their own request to the committee. The Arab nations requested “the termination of the Mandate over Palestine and that a declaration of its independence be placed on the agenda” this request was rejected by the committee. What emerged from the UNSCOP’s investigation was a two-state solution which passed by a vote of 7 to 3 with Iran, India, and Yugoslavia dissenting and voting against the solution. On September 3rd, 1947, UNSCOP submitted its report to the General Assembly, the committee’s report stated Palestine had a population of 1.8 million with 1.2 million of them being Arabs and 600 thousand of them being Jewish. On November 27th, 1947 the United Nations General Assembly voted 33 to 13 with 10 absentations to split Palestine into two parts, this resolution became known as ” the partition”. 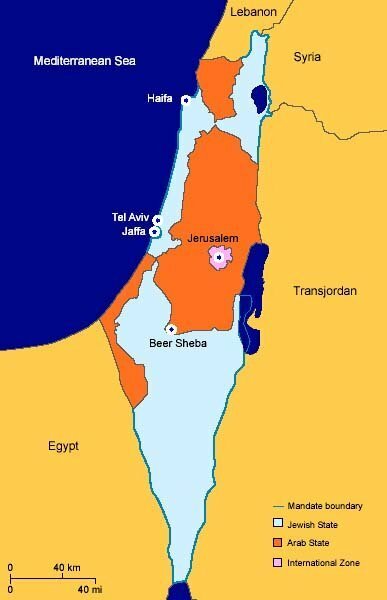 The Israelis would get the Negev Desert, the coastal plain between Tel Aviv and Haifa, and sections of the northern Galilee, the Palestinian would get the West Bank of the Jordan, the Gaza District, Jaffa, and the Arab sections of the Galilee. Jerusalem which is considered a holy site by both Jews and Arabs was to become an international enclave under the trusteeship of the United Nations. David Ben-Gurion who was the self-proclaimed leader of the Zionist accepted the partition plan even though it was well known that the Zionist always fantasized about controlling the West Bank and Jerusalem. The Palestinians however, rejected the United Nations partition plan, they proclaimed Palestine as theirs and stated: “the Jews were a foreign implant foisted upon them, and that they had the strength to drive them out.” April 9th, 1948 Jewish forces attack the Palestinian Village of Deir Yassin. This was the first time Jewish forces fought with the sole purpose of ridding the area of Palestinian villages in order to clear roads leading to Jerusalem and to ensure the viability of their own settlements. Major cities across the Middle-East erupted in protest to the brutal assault by Jewish forces on Palestinian villages, from Damascus and Baghdad to Cairo and Tripoli, infuriated citizens took to the streets in support of their Arab brethren in Palestine. Less than 24 hours later the Israeli-Arab War was launched with Lebanon, Syria, Iraq, Egypt, and Saudi Arabia announcing a declaration of war against Israel and a full assault on Tel Aviv was carried out. If the Brittish didn’t intervene the newly founded State of Israel would have fallen. 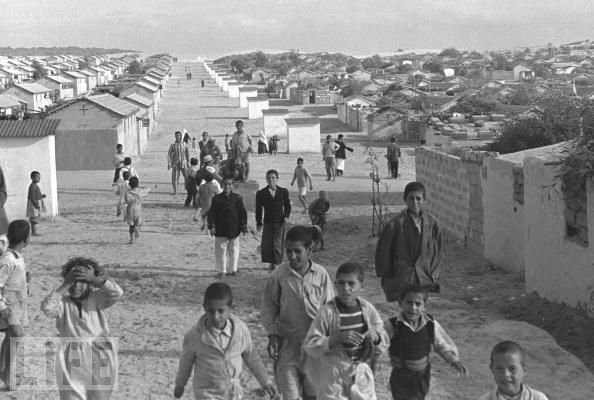 The ensuing war led to 726 thousand Palestinian refugees who were forced to flee due to intense fighting. The UNSCOP report by the United Nations stated there were 1.2 million Arabs in Palestine. 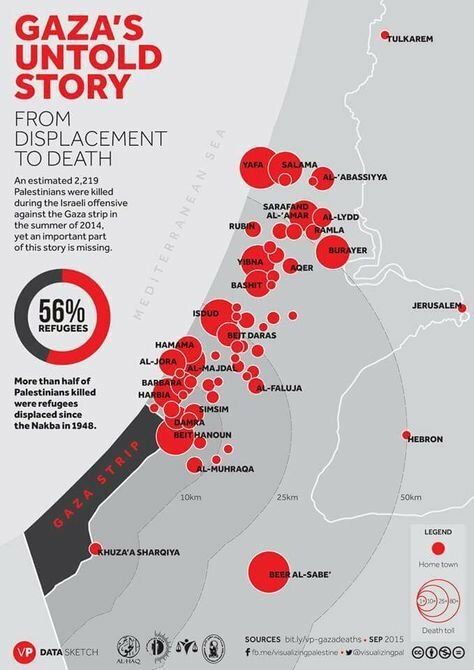 Intense fighting forced 726 thousand Arabs to flee Palestine, a stark statistic that reveals why we have a disappearing Palestine today. Throughout the early 1950’s the conflict between Israel’s and the Arabs continued as Arab nations began to impose economic blockades on Israel and refused to accept the State of Israel’s very existence. 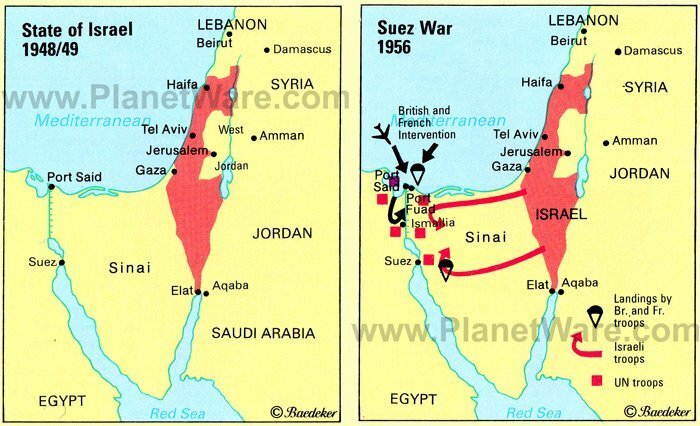 This would lead to the what is known as the Suez Crisis as the Egyptians blocked Israeli ships from entering the Suez Canal as well as the Straits of Tiran which cut off the port of Eilat, Israel’s sole route to the Red Sea and the Indian Ocean.